Includes 3 year or 75k prints Advanced Exchange Extended Warranty valued at $399. 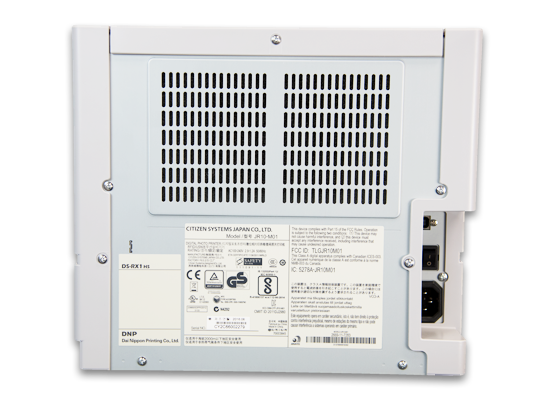 Learn more about the DNP 3 Year AE Warranty. Improved print speeds allow you to produce 290 4x6 prints per hour. Additional features: include improved operational support with the addition of USB iSerial for printing to multiple DS-RX1HS printers; and a new Status App for Windows OS, a helper apps to monitor you printer during operation. Other useful apps are also available for download from the DNP web site: www.dnpphoto.com/support. The printer combines inexpensive hardware cost, low media prices and high-end capabilities. As another advantage to you, there is no cost difference between the DS-RX1 and the DS-RX1HS models. All I can say is wow! We added a photo booth to our DJ business back in Sept. 2017 and we purchased a DNP RX1HS Photo Printer to install in our kiosk. This think has been the most efficient and user friendly printer ever. We've taken it to many events and pushed hundred of photos through it without a single hiccup. On top of that Imaging Spectrum gave us a call about a month after owning the printer to make sure everything was working properly and if we had any questions. Great services & great product. Disadvantages: Fairly heavy, but nothing out of the ordinary for printers of this type. 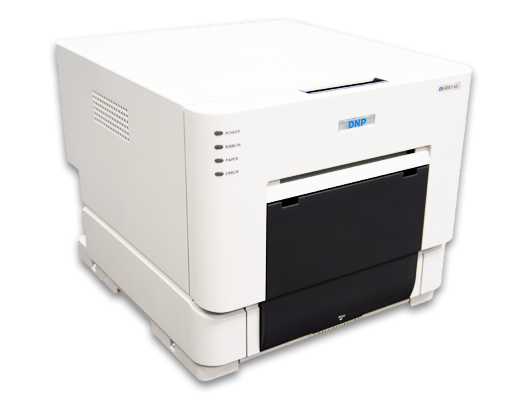 A very good low cost printer that we use for our photo booths. The media is some of the least expensive also. Advantages: Compatible with Windows 10. Low Cost media. I guess I haven't had the same experience as everyone else. I am happy with the speed and price as well as the price of the media but my photos print very dark. I have talked with technical support from Imaging Spectrum who then referred me to DNP because they thought something was wrong with my printer after going through my settings and DNP said nothing was wrong and there was nothing else to do other than adjust the image quality whenever I wasn't happy. Imaging Spectrum's customer service was great, DNP's was not in my opinion. I don't use the photo booth as often as most businesses but I'm upset with spending this much money when my $80 HP photosmart printer has better quality. Purchased this printer back in April and I like it. This is my second dye sub printer. Speed and image quality are important to me and this one delivers. Set up is simple. I'm a few events in and will be purchasing more DNP printers. The value from this printer is allowing my business to grow. Disadvantages: Heavy but allows for large capacity media. 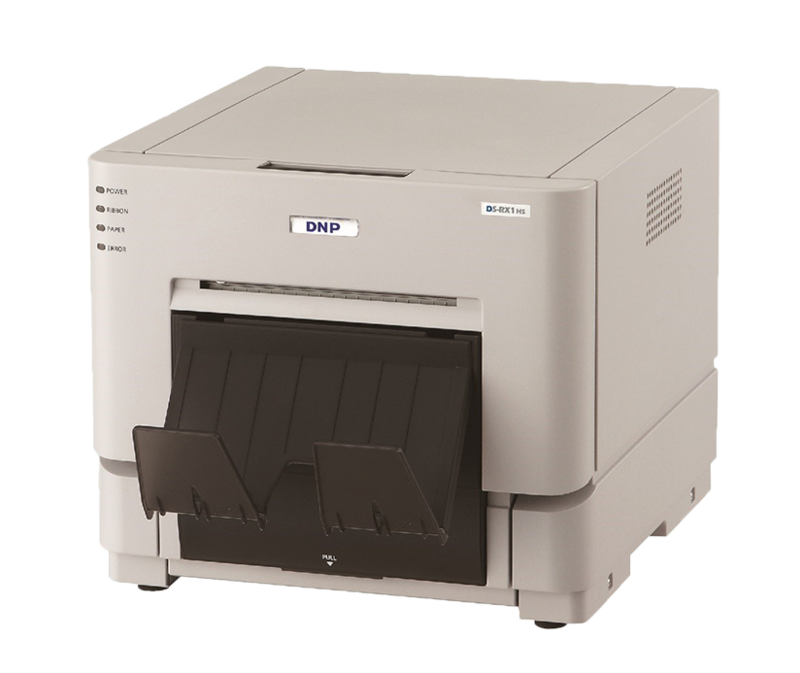 Overview of the updated DNP DS-RX1HS photo printer. 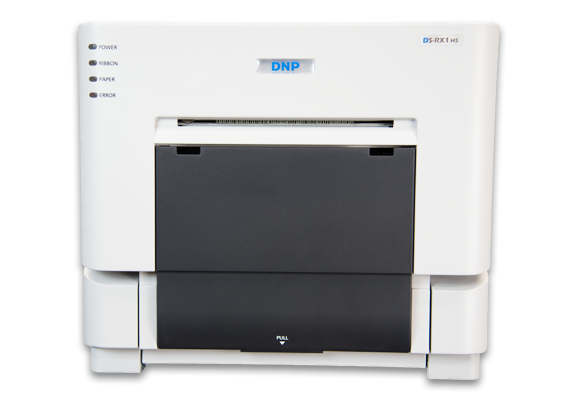 One of our most popular printers for photo booth and onsite event photography printing, the DNP DS-RX1HS is fast and reliable. The HS stands for High Speed and this printer is fast. How to protect your DNP RX1 or RX1HS print head when transporting or shipping.